Neptunus was found in 1846 by predicting it’s existence by analyzing Uranus’s orbit. 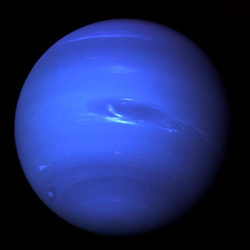 It has been named after a roman god Neptune (Poseidon in greek) which was a god of ocean. It has eight moons.